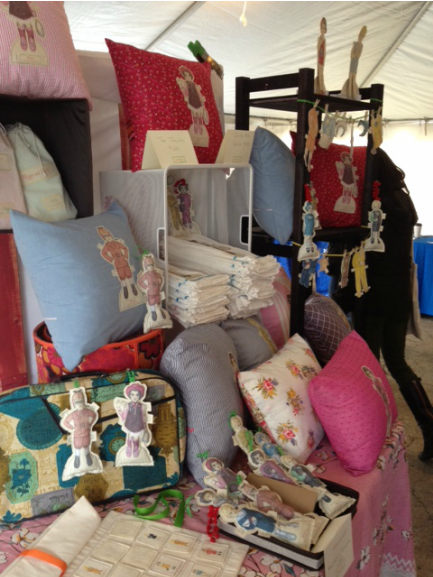 Ideas for use- kitchen, bathroom, baby burp cloth and they make great gifts too! Towels are 100% cotton and machine washable. 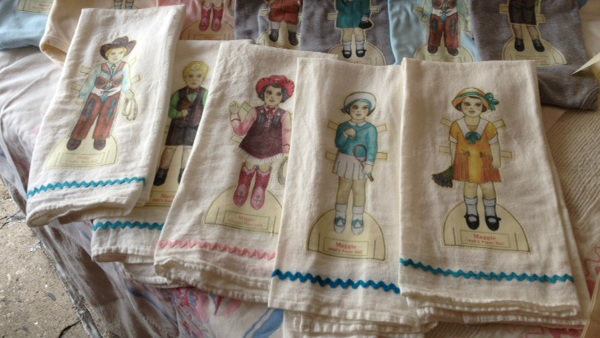 All paper doll images are 100% Original Artwork and machine sewn onto each towel! 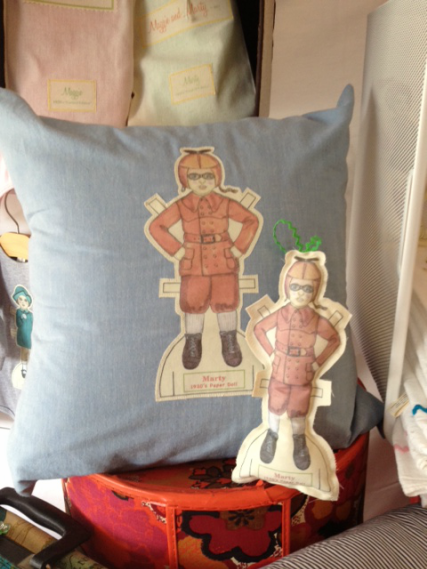 Decorative Paper Doll "Throw Pillows"
All Pillows are handmade with either limited edition fabrics or vintage up-cycled fabrics! Pillow covers are easily removed and machine washable. 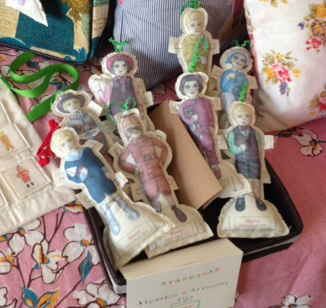 Handmade Paper Doll "Lavender Sachets"
Use to freshen your drawers, closets, as an ornament or beside your pillow to help you sleep. Made of 100% cotton and stuffed with recycled poly-fil and only the finest and most fragrant lavender! Lavender is said to be soothing and calming to the senses. For use ages 3 yrs. to Adult! Please use supervision with children under the age of three.